Vágar is the third largest island of the Faroe Islands, and it is home to the only airport in the archipelago. Originally built by British Royal Engineers during WWII, the airfield was later abandoned and did not open as a civilian airport until 1963. The latest terminal was built in 2014. The Vágar Tunnel / Vágatunnilin connects the islands of Vágar to Streymoy, making it much easier to get around. Renting a vehicle is an easy way to experience the island. We enjoyed the freedom to explore at our own pace and stop wherever adventure called. Prior to arriving at the airport we received an email from our car rental with the instructions somewhat along these lines "The car is a red Peugot 207, it's parked in the lot right outside the airport. Keys are in the glove compartment. Park it in the same place and make sure to fill up gas". We never spoke to a single person upon making the reservation, picking up the car, or returning the car. How easy! We booked through the cheapest car rental agency available at the time, Unicar, and the total was 1500 DKK for the week (about 250 USD as of March 2018) . Our first night in the Faroes we stayed at this awesome cottage right along the coast - about 10 minutes from the airport. We parked in a pull off / lot along the road and walk down to the house. Similar to the car rental, the house was unlocked and we never spoke to anyone in person. Right outside the cottage is about a 20 foot drop off to the ocean below. It was very private and intimate - a perfect stop for our honeymoon. The decor looked like it had been stolen from my grandma's house, and the price appears to have gone up since we were there, but it was worth it. We liked it so much, we stayed here again on our last night in town before we flew out. 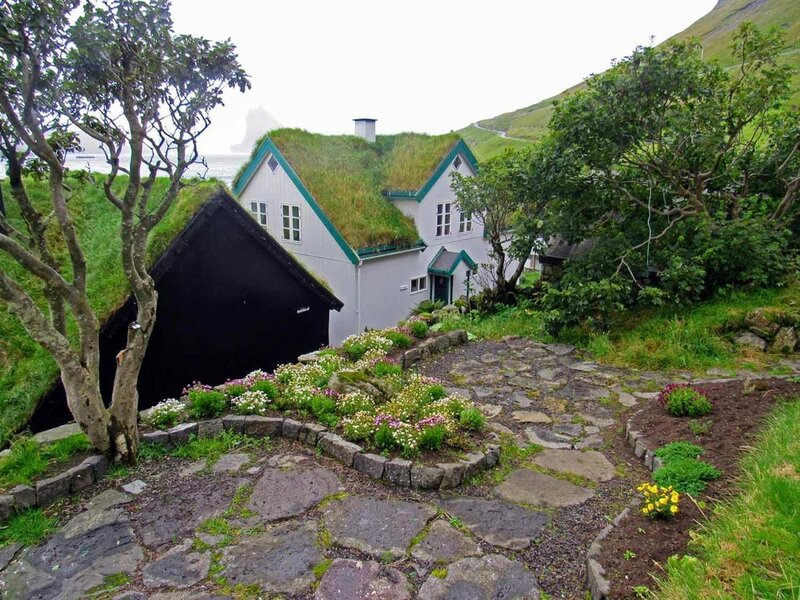 Explore the beautiful village of Bøur - admire the traditional wooden houses, sod roofs, and striking views of Tindholmur. 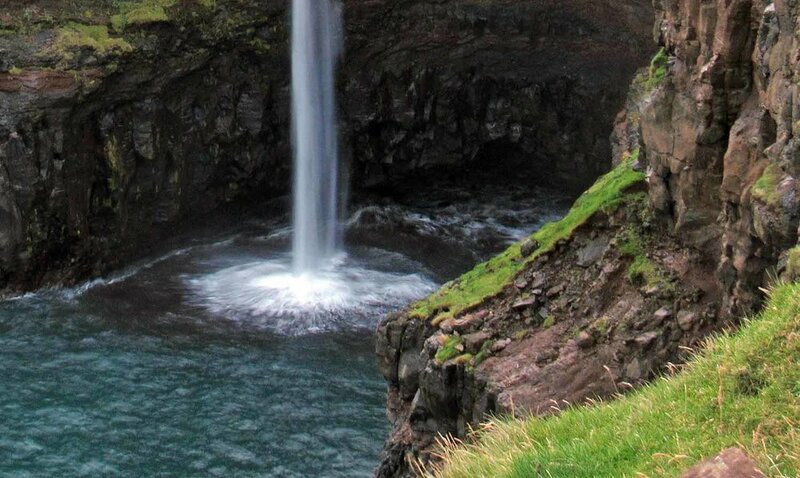 Be sure to check out the Mulafossur waterfall in Gásadalur for a picture perfect waterfall into the ocean. We were able to stand in a safe spot along a trail to capture some photos, but beware of the slippery grass slopes and the edges of the cliff. No safety fences here! 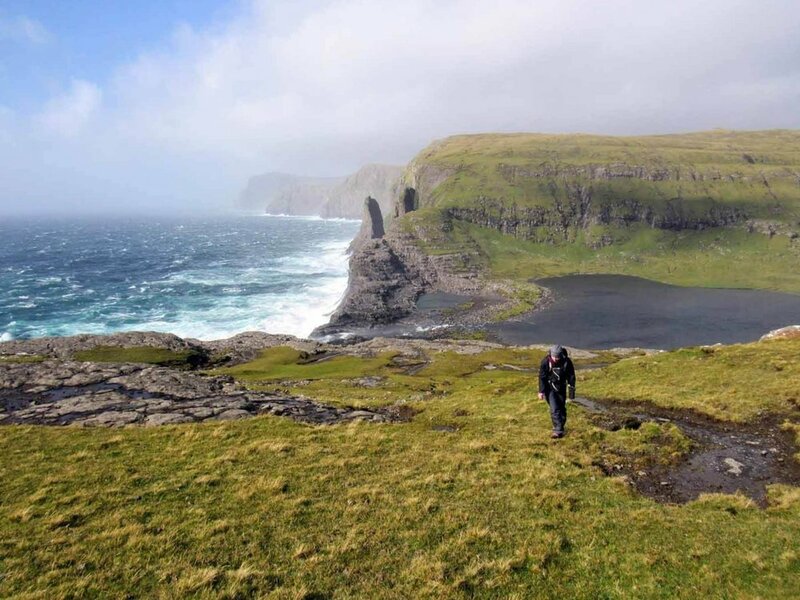 An easy hike around the Faroes’ largest lake will reward you with epic views! Lake Leitisvatn runs to the edges of the coastal cliffs, spilling into ocean below through a roaring waterfall, Bøsdalafossur. Be careful as the rocks at the end of the cliff can be slick, but you can always cut over earlier and not go all the way to the edge. Be sure to hike up along the cliff edge/plateau top and look back to the east to see the lake looming above the rocky ocean below (truly mind blowing). It’s about 3 km from where you park to the waterfall. Your overall round trip distance will depend on how far you wander to take in the views. Click here for more detailed directions and trail info! The Faroes Sheep have been raised in near isolation since the 9th century creating a unique breed. The sheep appears on the Island's Coat of Arms and is integral to the local culture and heritage. 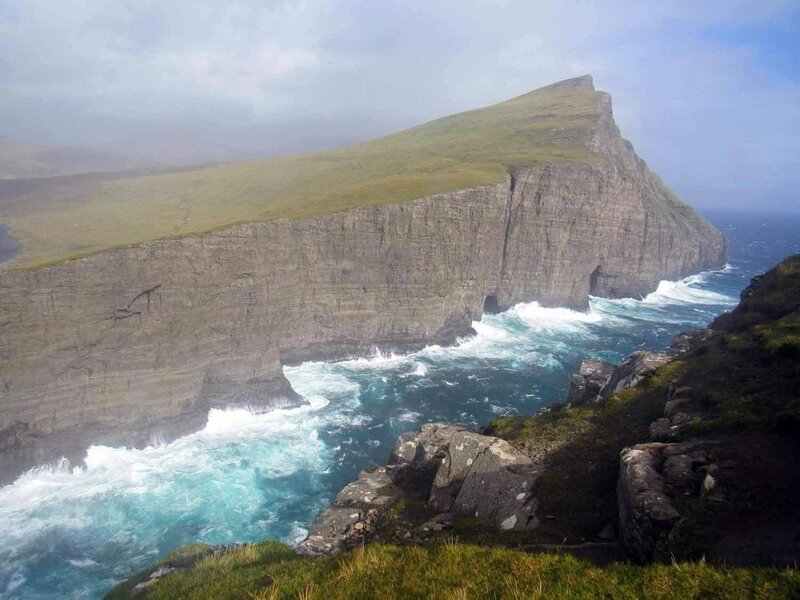 The Faroese word Føroyar, is thought to mean "Sheep Island"... This sheep we spotted on a hike fooled us from a distance as it appeared like a cow.